CivilizationEarly Bronze Age III, 2500 B.C.E. - 2200 B.C.E. 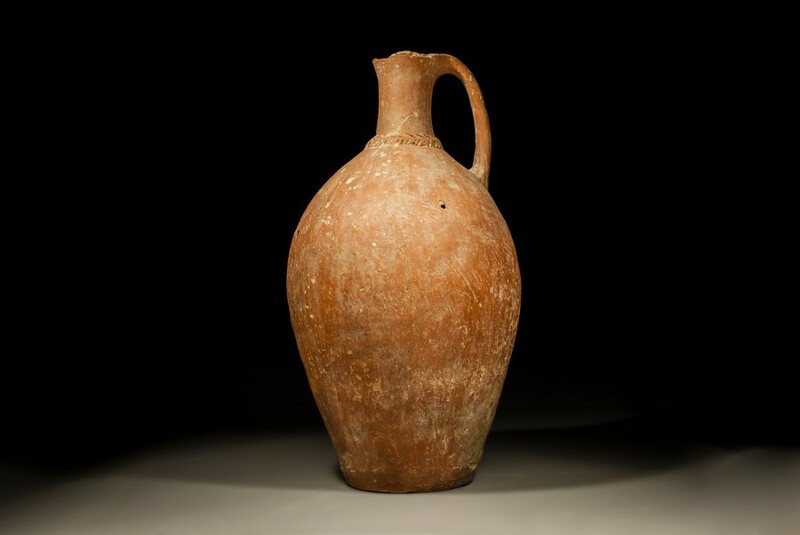 This truly ancient Canaanite red slip jug was made nearly 4500 years ago in the arid region of the old Levant. 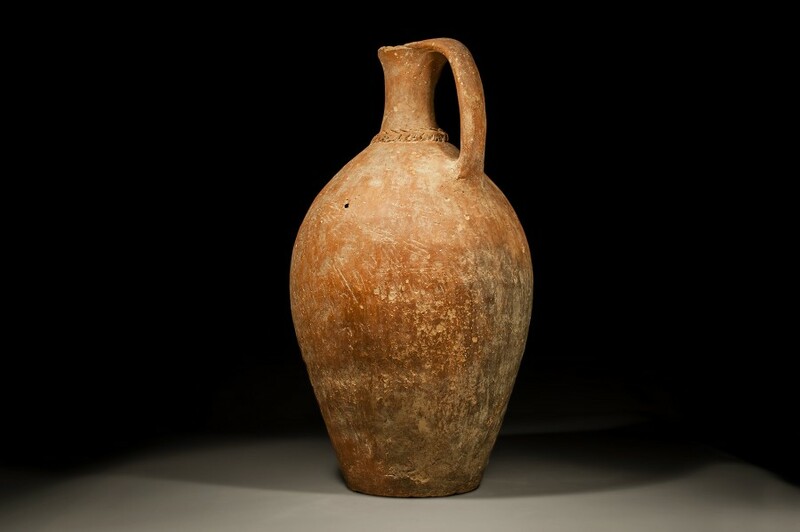 Canaan was a historical Semitic speaking region and its culture influenced the subsequent civilizations of the Middle East and beyond. 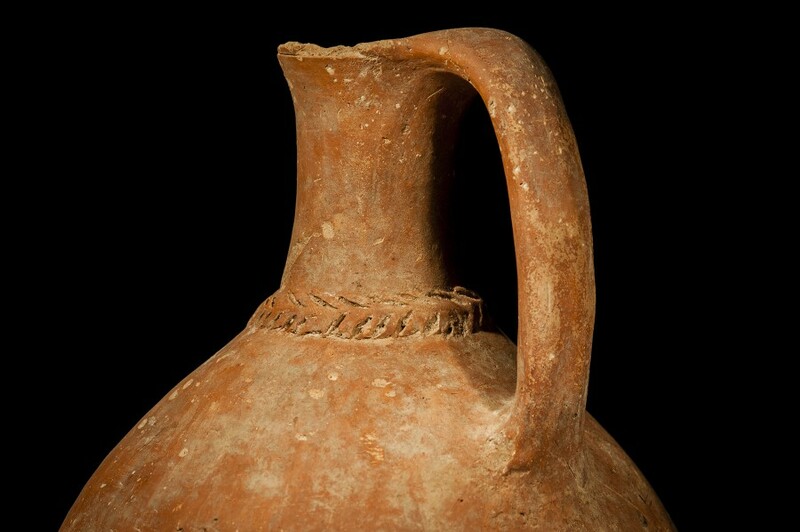 The large jug pictured here shows the high skill of Canaan’s early craftsmen, the large smooth curves of its body forming a vessel that is both sturdy and aesthetically pure.